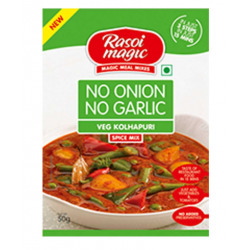 Jains avoid eating Onion, Garlic or for that matter any root vegetable that grows under the ground. 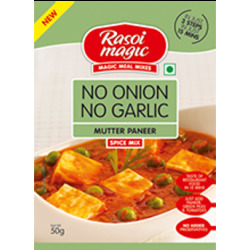 On the other hand, Onion and Garlic are considered as main ingredients of any veg preparation. 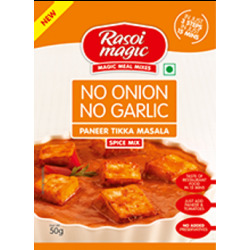 However, Rasoi Magic has come up with ready to cook spice mix which are prepared without onion or garlic. 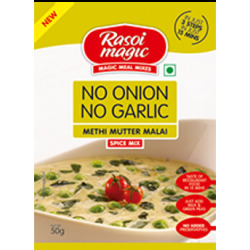 With this ready to cook spice mix (Jain Style), one can prepare jain compliant yet very tasty Punjabi and Moghalai dishes at home. 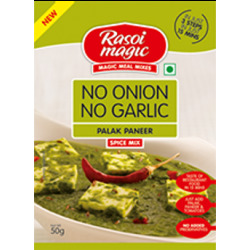 This has made Rasoi Magic the most favored spice mix brand among Jains in UK, Europe. 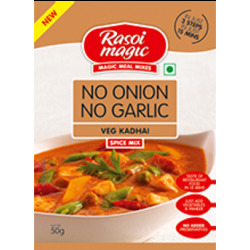 We have variety of Rasoi Magic ready to cook spice mixes in Jain-Veg category. 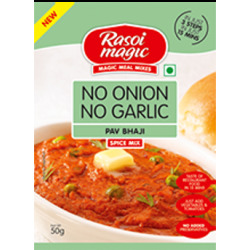 Rasoi Magic is the most popular and trusted brands when it comes to Ready Mix Masala, especially Jain Preparation without onion or garlic. 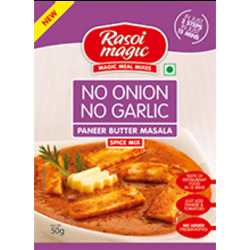 Rasoi Magic (Jain) There are 8 products. 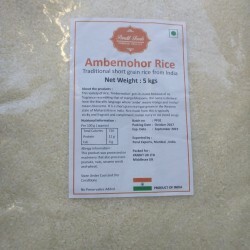 About the products : This variety of rice, 'Ambemohar' gets its name because of its fragrance resembling that of mango blossoms. Bakharwadi (Also known as bakarwadi or bhakarwadi). Weight - 200gm.